Whether at our Times Square Theater and event space, your office, or any venue of your choosing, our shows and workshops serve as the perfect entertainment and team building activity for your company. Book early to ensure your choice of dates and times. Weekend and evening times often book up by September. Interactive shows get the entire team helping our professional comics, actors and singers create original scenes and songs on the spot. Many are invited on stage while the entire show is based on your colleagues’ suggestions. Shows are great entertainment and team building on their own. Pair with a workshop and now your team works together to create stories and scenes. Improv workshops break down walls as the team laughs and plays together. Workshops are incredibly powerful tools to build strong team and leadership skills. We customize our workshops to address any team’s needs – management, communications, sales, service and creative. We did this same program for a new marketing team from Twitter this past Spring. The team is spread around teh country (and even internationally for a few) and this was a big part of bringing the team together that will mostly contact via email, phone and skype in the future. We have presented the same program for numerous teams including US Medicare, Johnson and Johnson and Louis Vuitton. We have worked with accounting, finance, legal, management, sales and service teams. The program is incredibly customize-able for your time, budget and development needs. Our AM “cocktail hour”, we offer coffee and snacks (bagels, donuts, available upon arrival. Come in, mingle, get settled and ready to play. Your team participates in a morning workshop. Under the direction of our profession teaching artists the team plays warm-up, technique and performance games. Beyond the team and leadership skills, we relate and customize the experience to your team’s needs (service, sales, management etc). Advanced workshops can even role play conflict management and more serious issues. We cater lunch with menus from top local restaurants. Most popular is platters of gourmet wraps, salads, chips, and cookies. We have menus for any budget and taste ranging from pizza to BBQ to pasta buffet to 5-star plated. $20-300pp plus cost of show, workshop and space. As the team settles our professional staff entertains with an interactive musical comedy show. We cannot tell you what the show will be about because the audience dictates the direction of every show. Our MC opens the program with a brief introduction to Improv and our show while he/she warms-up the crowd. Then immediately the cast breaks into song – an upbeat JIG based on audience suggestion. The next game would be Sound Effects, where two audience members are invited onstage to support two actors performing an original scene – again based on audience suggestions. The show continues in this manner for 30-75 minutes, as per client needs (Usually 60-minute for our seminar day). Show ends with another uptempo song such as the Blues or Hip Hop selection. After the show, we invite your team to use our facility for a team meeting, which – after a day of team building – may be the most productive in your team’s history. As per your needs we can supply additional A/V support for your meeting. Perhaps you don’t need the full team building treatment. Perhaps you need a quick fix. We have a new program that lasts just two hours. We can include drinks, snacks a short mini workshop and a show. In as little as two hours we give the team a jolt of group activity and laughs. Great way to unwind after a busy week or get ready for a launch new project. Inexpensive but highly effective. For smaller groups on a budget we can make the shows public to reduce minimums. But for as little as $1000 we can present this program for a group of up to 20 that includes salty snacks and a couple drinks. Lots of options. Looking for the perfect entertainment for this year’s holiday gathering. Improv Comedy is the perfect way to make your next event memorable. And while most NYC comedy makes hosts nervous, we specialize in clean adult comedy. Even at our off-Broadway and College comedy shows we max at about PG-13 rating. Our energy is high, the comedy is fun, but never offensive. Both your guests and HR will leave happy. At our Times Square venue we serve an elaborate display platters of Crudités, Flat Breads, Cheese, Fruit and assorted Anti Pasti. Servers walk around the crowd with passed hot and cold Hors d’oeuvres. Open bar is facilitated by cocktail service throughout the cocktail hour and show. We find by not ever having a formal sit down plated meal or buffet, we encourage socializing – which serves as great team building for your team and guests. We presented this exact program for 60 execs from BAML (Bank of America Merrill Lynch NYC). Santa and Elves greet guests upon arrival. During the cocktail hour they pose for photos and spread Christmas Cheer. They often help fill glasses of wine and champagne as needed. When it is time for the show, cocktail servers continue to serve guests needs. We leave the platters and additional finger foods for guests that wish to continue to nibble. The show usually runs 60-minutes. Again we have menus for any taste and budget so let our private event specialist sit down and work out the perfect menu and event for your guests. Improv performers make the perfect addition to any live marketing campaign. We have sent our performers in costume to trade shows and events as far as Jamaica and Puerto Rico. One year we sent an actor to portray Michael Moore for Unileaver / Wisk Industrial, interacting with company and helping film in house short films. Similarly we sent a team to Jamaica and Puerto Rico for Sun Trust. One of the actors played a funny James Lipton impersonation, interviewing execs at a retreat. The other played a zany segment producer. 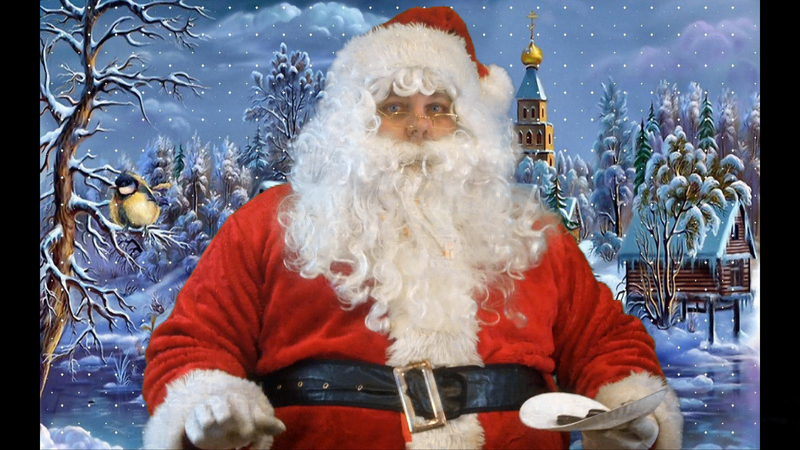 ALl week they filmed funny interview segments as well as help enliven live events. We have helped many companies get attention on the streets of New York. During one campaign we dressed as police for Mentos. We played with hula hoops and juggled and interacted with crowds to help Ben & Jerry’s introduce THE CONE. 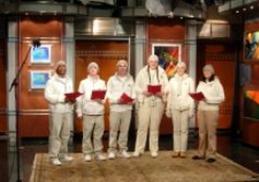 We even sang Christmas Carols for Master Card – including appearing on FOX & FRIENDS with Jewel. 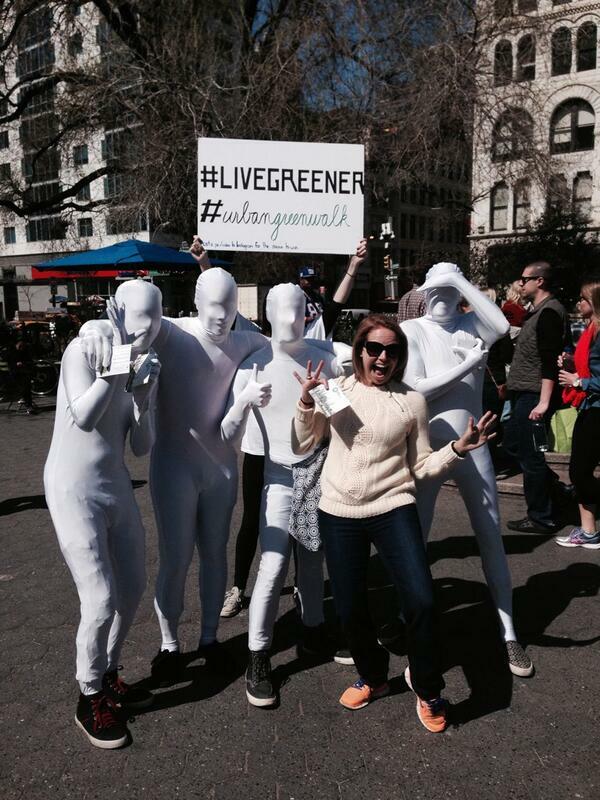 Recently four of our actors dressed as MORPH MEN to help promote an Earth Day campaign. While having fun with the public in Union Square, Katie Couric took a photo and shared it with her one million plus twitter followers. 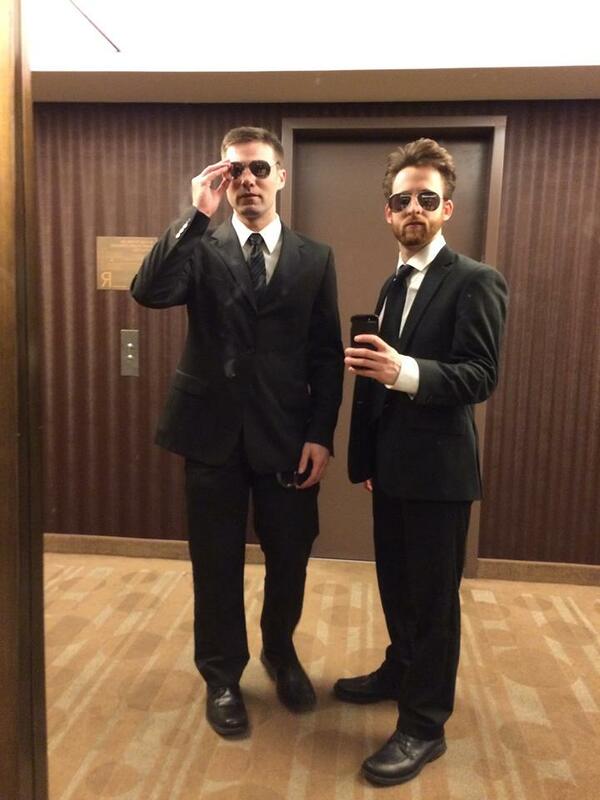 Most recently we helped liven up an office by sending two fake FBI agents to prank a few with a fake raid. This entry was posted in Behind the 8 Ball, EVENTS, Learn to Improvise and tagged anti-bully, artists, arts, bells, breakfast, broadway, building, bully, calendar, camp, carols, character building, choir, chorus, christams, christmas, class, classes, client, club, college, comedy, community, connecticut, core, corporate, costume, creativity, cultural, curriculum, december, deck, dentist, discount, educate, educational, elf, events, feliz navidad, frosty, games, halls, help, holiday, how, how to, improv, interactive, jingle, jinglebells, kids, language arts, leadership, learn, link, lyrics, mate, musical, new jersey, new york, new york state, noel, nyc, outreach, player, public speaking, rudolf, sacred, santa, schedule, school, show, shows, sing a long, sketch, songs, special, stand-up, stop, student, teacher, teaching, team, team building, teambuilding, techniques, teens, theaetr, theater, tickets, times square, training, up, video, warm, warm up, work, workshop, workshops, yes! and.... Bookmark the permalink.